When Alejandro Gibes de Gac (he/him) was 7, his family immigrated to the US escaping political persecution and seeking educational opportunities. He published a memoir at 12 chronicling his challenges transitioning to life in America. In the process, he became as passionate about the education of others as he was about his own. After graduating from Harvard in 2009, he spent two years as a 1st grade teacher in Philadelphia. There he became frustrated that his students—and millions more in low-income communities—lack continuous access to learning at home and school. As a result they face chronic, summertime reading losses in elementary school that account for two-thirds of the achievement gap in high school. This is symptomatic of a deeper problem: low-income parents have been left out of the process of educating their kids. Alejandro founded Springboard Collaborative in 2011 to close the literacy gap by coaching teachers, training family members, and cultivating reading habits. Alejandro was since honored as ‘one of the world’s best emerging social innovators’ by Echoing Green, a leading venture philanthropy firm that selected 20 fellows from 3,500 global applicants. He was also recognized as one of Forbes Magazine’s 30 Under 30 in 2014; one of two national recipients of the Claneil Emerging Leaders distinction in 2015; one of the Chronicle of Philanthropy’s 40 Under 40 in 2016; and a recipient of the People of Promise award from America’s Promise in 2017. 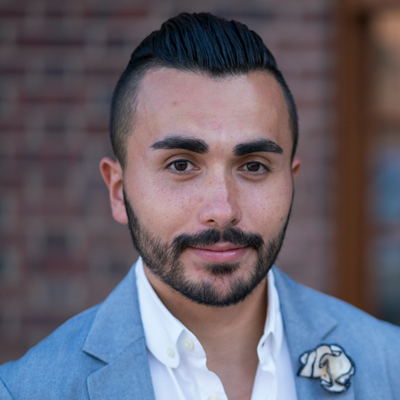 Alejandro is an alumnus of Teach for America and McKinsey & Company. He holds a BA with high honors from Harvard University and an MS in Urban Education from the University of Pennsylvania.